- BE ACTIVE! I cannot stress this one enough; if you can't get online at least once every two days, DO NOT JOIN! - Realistic Wolf RPG. There will be no purple wolves, or red eyes, or wings. And definitely no supernatural powers..
- English only; Sorry, but please no foreign languages on Surrendered Silence. 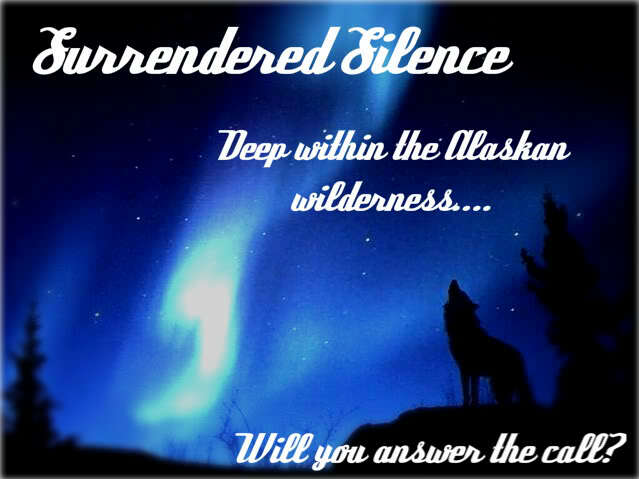 - Surrendered Silence DOES allow "liquid time": For those unfamiliar with the term, liquid time is the ability for your wolf to be in several different areas and threads at once. - No members under 13 years of age, Surrendered Silence is generally rated PG-13 . - We adopt the "3 strikes you're out" rule. As you break rules, you will get strikes/warnings. One strike is a warning, the second strike is a stricter warning, the third strike is ban. - A Mod's word is concrete! An Admin's word is final! If you have an issue with a Mod, please contact me to discuss the problem. - Every post MUST be a minimum of 300 words. I will not accept, "I didn't want to sit there and count the words out.." Word counters are free and instant online. Google it. Nuff said. - No profanity OOC. And if you use it IC, please keep it to the more tame words. If you don't know which are tame and which aren't, ask a moderator or admin. - If you are going to speak OOC, please indicate it with "OOC:" at the end of your post. - Members are expected to have proper grammar, though bad days are understandable. A bad month, however, is not. - Keep your personal life out of IC posts, and take it to the Chit-Chat board. -Alpha Male and Female: The Alphas are the most dominate and respected wolves of the pack. If these two Alphas are not given the respect that they deserve, they will demand it, and if it comes to fighting, so be it, for disrespect will not be tolerated. If these two Alphas see that another wolf is not getting respect that they deserve, then they will see that that wolf does get the respect that he or she deserves. The Alphas try to know what has been going on between members of the pack and, moreover, between members of other packs; they try to "keep up with the times." Alphas have the final say in all decisions, and it is their duty to do what is good for the pack. Even in personal decisions, they must do what is best for the pack. This includes hearing the opinions of all the others and making a decision based on all circumstances. They usually decide what goes on at any given time in a pack: hunting, exploring, meetings, etc. These two are the most responsible and reliable wolves of the pack. The female is in charge of females, and the male is in charge of the males; however, both Alphas will be equally respected by all wolves, regardless of gender, age, pack, etc. -Beta Male and Female: The Betas in a wolf pack play a very similar role as the Alphas. Betas are usually looked upon as second in command, taking over while the alphas are not present. They are able to make the same decisions and have the same amount of respect as the alphas. They answer to no one but their Alphas. While the Alphas are present, Betas are mostly used to settle minor jobs or disputes. -Password for joining is "Dorian Grey"
-Elder: Can be a single wolf or a wolf and their mate. The Elders of the pack are usually the oldest, wisest, and most experienced wolves in the pack. The elders are usually wolves that have the ability to be high ranking. They are constantly looked to for advice, even by the alphas and betas. They are highly respected wolves. The elders know the packs history and are often the storytellers. Their job is to keep records of all the recent events going on in the clearing, and just to keep as part of the heart of the pack. -Guardians: The Guardians are a larger branch, usually consisting of a few wolves. Their job is to watch over the clearing, and the wolves in it. They are usually the bigger, stronger, and more loyal wolves to the pack. Their job is to greet visitors, as well as chase them away if there seems to be a threat. -Hunters: The hunters are very similar to the Guardians being the larger and stronger wolves. These wolves have been given the job of hunting for food to feed the pack. Usually they bring along other pack members acting as mentors, teaching and helping them to hunt. This is one of the most valuable positions as these wolves keep the pack alive and healthy. -Unranked members: Not all wolves hold positions, either for being new additions to the pack or not having defined their abilities yet. The Alpha(s) take great care in selection of which position a wolf will be allowed to maintain. As the pack members gain time in the pack, their actions will dictate if they are to be advanced. -Omega: The Omega of the pack is lowest ranking wolf, only higher then the pups. The Omega is usually a wolf that is either very new to packlife and still learning or a wolf that has been lowered in rank due to wrong actions. They are usually given the responsibilities of 'puppy-sitter', watching over the cubs during group hunts and making sure they don't wander into the forest. The Omega may even growl or nip at the learning pups, teaching them the Way of the Pack and their place within the hierarchy. Ironically, other adult wolves may growl or nip at the Omega in the same manner for the same reasons. Still what seems to be 'bullying' is much more complicated than it appears. If a pack's survival depends on the acceptance of hierarchy, then it is crucial to learn this well and early. -Pups: Normally, only the alphas will mate and produce pups. Pups of the Alpha pair will mock-play, displaying their domineering traits often. There is no real hierarchy within a litter. -Alpha Male and Female can breed every season if they so desire; ANY other pair must first get approval from the Alpha pair before breeding. -Pups stats are determined by an Admin only; You may get 2 healthy pups one season and lose all the next. -Breeding can ONLY occur during the winter seasons! -You may NOT play any of the pups' your character has; you are responsible for finding someone to RP them. If you cannot find anyone to play them, they "will not make it"
-Fighting and reproducing are dependent on your characters stats. Each new member gets 8 points to distribute as they wish, and will gain more through IC posting and accomplishments. -Pups do not receive any points until they turn 1 year old, and then they get 8.